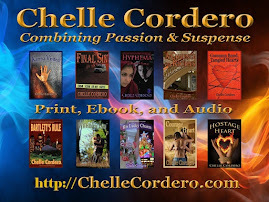 Courage of the Heart received a few very favorable reviews (no, they were NOT relatives!) and not many more books were actually sold. My copy sat filed away as a frustrating memory of what could have, should have, been. It was frustrating, but I had a book in my name even if less than 20 people had read it. I still felt some accomplishment. 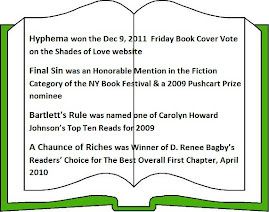 I kept writing and in 2008, Vanilla Heart Publishingpublished my novels Bartlett’s Rule, Forgotten andWithin the Law. Then Kimberlee Williams, managing editor of VHP, asked if I would consider re-releasing Courage of the Heart. My heart took a leap! Could it really happen? VHP and I had worked as a team to promote my other books and things were moving along very nicely. Did I dare to hope? 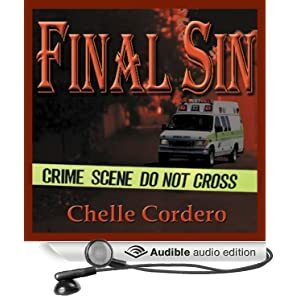 soon to be released as an audiobook! Sometimes unexpected events lead to unexpected actions - After Adam doesn't come into work, breaking a lunch date with Davie, she goes looking for him out of concern. He's home, sick with the flu, not answering his phone and in one heck of a foul mood. A lot of men can be a "father" but it takes someone special to be a "Dad" - my cousin said that to me once when she was talking about her stepfather. It's so true. My own father was my very first hero, more powerful than Superman, wiser than Solomon, and definitely more fun than a visit to an amusement park. He was very human and always owned up to the VERY FEW mistakes he ever made (he never pretended to be perfect), he was a fantastic role model, and was devoted with every fiber of his being to his wife and daughters. He was honored by a local civic group for being a community leader and always gave of himself selflessly. 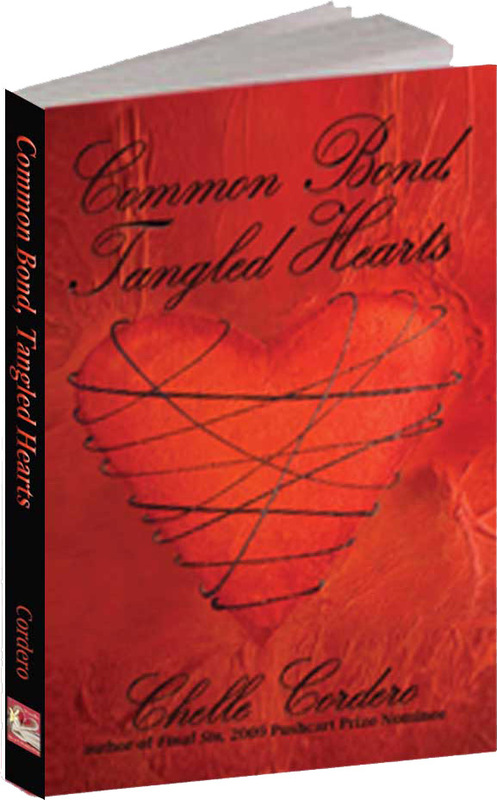 In my romantic suspense novel Common Bond, Tangled Hearts, leading man Justin finds out that he is a father... and now he wants to meet the mother. The first time he sets his eyes on Layne he wishes he had known her before. But most importantly, Justin decides that he has to be a father that his son, Dennis, can be proud of. Layne felt uncomfortable as the stranger's eyes made their leisurely excursion. She closed the door just a little bit more and then fortified her courage with the thought that her nosy neighbor, Mrs. Addamson, would open her door at the least little yell she might make. "Is there something you want?" She impatiently asked him and then blushed when his eyes flew up to meet hers with an amused smile. Oh baby, where have you been all my life? He thought and then smiled politely. "I was looking for…" he carefully checked a piece of paper he held in his hand. "…for Layne Gillette." Justin said 'Lane'. "Who's asking?" No matter that he seemed to fit the exact description of tall, dark and handsome that she and her friends always joked about, she was wary of any stranger who came looking for her. "My name is Justin Ross…" He waited just a moment to see if there was any recognition, he was disappointed. "I was told that Layne Gillette lives here." "It's Lay-nee…" She was expressionless. "Hi, I take it you're Lay-nee?" His eyebrows arched as he emphasized the proper pronunciation. "What do you want?" Layne inconspicuously braced herself against the door so she could slam it forcefully in his face if need be. "It's… uh… personal. May I come in?" He was mesmerized by her golden eyes. It took a moment before her refusal totally sunk in. Not many dared to refuse Justin Ross anything. He took a deep breath in and started to patiently explain to her that he needed to speak with her privately. "Look, I just came a long way… and we really need to talk…"
"Hey Mom, is that Rita?" The childlike voice startled the both of them. Layne turned her head to answer when Justin pushed on the door with his hand and knocked her off-balance. The door swung open and Justin got his first look at the little boy who had his mother's golden eyes. Like his own hair, the boy had jet-black curly locks and the contrast was extraordinary. "Is that him?" Justin pushed his way past Layne and went to the boy. "Are you Dennis?" She was ready to physically tackle him as she shouted at her son. "Go to your room… now!" "But Mom…" The boy looked between the stranger and his mother. "And close your door!" She put herself between the stranger and her child. The door to the hallway swung wide open. "Mommmm…" He did his best to hide his trembling lower lip. "Now!" Layne stared at him until he obeyed. She stood with her hands against Justin's firm chest to block his advance. She swung her gaze back to Justin, he could have sworn her eyes glowed with rage. "Did Charlie send you?" He was puzzled by her strange behavior. She seemed overly melodramatic. All he wanted to do was see the boy. "Who's Charlie?" He was annoyed when he heard the click of the boy's bedroom door. "Just answer the damn question!" Layne had tried to mentally prepare herself for just this kind of confrontation for the last six years, but she never thought her anger or her fear would be so great. "I don't know… who the hell… Charlie is!" He forcefully brushed her hands off of him. "Look, I came to speak to you because…"
"If Charlie didn't send you, who did?" She cut him off. Justin tried to control his own frustration. He understood this woman's need to protect the boy from someone she didn't know, but he needed desperately to see the boy. He resented her refusal. "No one sent me!" He made sure not to yell. "Then why are you here?" She wouldn't trust him. "Because… we need to talk." It was harder to say it than he realized. Layne was prepared to defend her son with her life if she had to. "…about what?" "What do you and I have to talk about? There’s nothing for us to talk about." She wasn't letting her guard down for anything. And if he thought he could just come in here and shove her around, he'd soon learn differently. "Layne…" He tried to reach out for her, she sidestepped him. "We need to talk about… our son." He saw her look of shock. "We need to talk about Dennis." Suddenly she screamed at him and began to beat at his chest with her clenched fists. "Get out! Get out of here! Get the hell out of my home!" "Layne, calm down." Justin tried to defend himself from her blows. He grabbed at her hands and tried to hold the struggling woman away from him. “Stop struggling. Just calm down!” That's when he heard a door open. "Should I call the police, Layne?" Mrs. Addamson called across the hallway from the protection of her own doorway. Justin wanted to see the boy again. He wanted this beautiful lunatic to stop attacking him. He didn't want to have to call his lawyer to get him out of jail. "I'll be back." Justin turned on his heel and left. Mrs. Addamson slammed her door as he entered the hallway. Sometime in the 1980's I wrote a manuscript I called More Than a Friend - it was about a female NYC police officer, the (gender) prejudice she encountered on the job and two men, the one she married and the one who loved her. It had suspense, mystery, passion and, of course, a happy ever after. I made the rounds of big-name print publishers and and a few agents; while I received some compliments, some constructive criticism, and many form letter rejections, no one wanted to take a risk on a relatively new writer. Although I had started writing professionally, it was mostly as a stringer for a local weekly paper. The manuscript was put away in a drawer. A few years later my sister and I attacked it with a fresh re-write. Long story short, it went back in a drawer again. 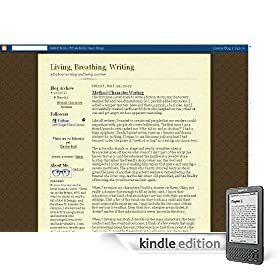 I never thought to send it to small press or e-publishers. As any writer knows, our characters are our pseudo children and we yearn to bring them to life. Unfortunately Jerry and Janis, my main characters in More Than a Friend, had resided silently in drawer space for decades. BUT I FINALLY DID IT! I am so excited to see my characters given a chance at life. As a youngster I was always fascinated by Robert Frost’s poem “The Road Not Taken” and the concept that every decision we make can have life altering effects. will soon be available for your listening pleasure!